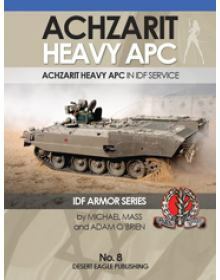 IDF ARMOR SERIES No 8: ACHZARIT HEAVY APC IN IDF SERVICE.Desert Eagle Publishing, is honored to bri..
IDF ARMOR SERIES No 7: D9 BULLDOZERS IN IDF SERVICE.Desert Eagle Publishing is honored to bring thi..
IDF ARMOR SERIES No 16: HMMWV HUMMER IN IDF SERVICE. 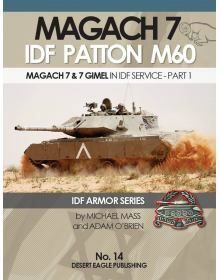 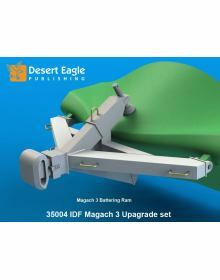 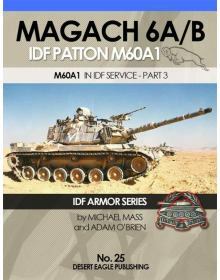 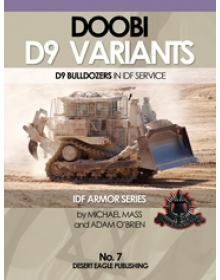 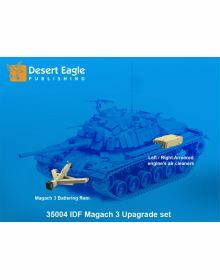 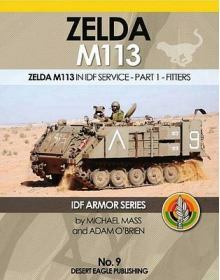 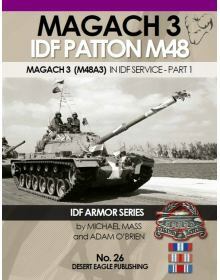 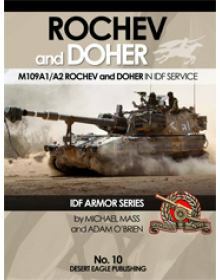 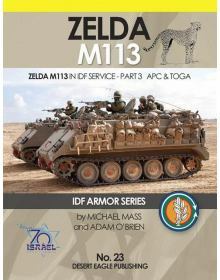 The latest book from Desert Eagle Publishi..
IDF ARMOR SERIES No 14: MAGACH 7 & 7C IN IDF SERVICE - PART 1.Desert Eagle Publishing is happy to br..
Επωφεληθείτε τώρα από την ειδική τιμή προ-αγοράς!IDF ARMOR Series No 26: MAGACH 3 (M48) IN IDF SERVI..
IDF ARMOR SERIES No 25: M60A1 in IDF Service, Part 3: MAGACH 6A/B. 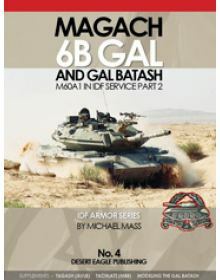 Το νέο βιβλίο της Deser..
IDF ARMOR SERIES No 4: MAGACH 6B GAL & GAL BATASH - M60A1 IN IDF SERVICE, PART 2.Desert Eagle Pu..
IDF ARMOR SERIES No 22: MERKAVA Mk 1 IN IDF SERVICE - PART 2.Desert Eagle Publishing, is honored to ..
IDF ARMOR SERIES No 20: MERKAVA Mk 1 IN IDF SERVICE - PART 1.Desert Eagle Publishing, is honored to ..
IDF ARMOR SERIES No 12: MERKAVA Mk 2 IN IDF SERVICE - PART 1.Desert Eagle Publishing, is honored to ..
IDF ARMOR SERIES No 17: MERKAVA Mk 2 IN IDF SERVICE - PART 2. 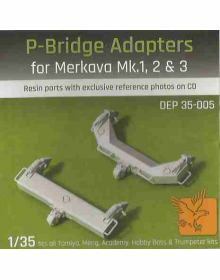 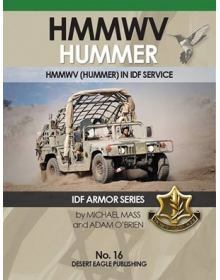 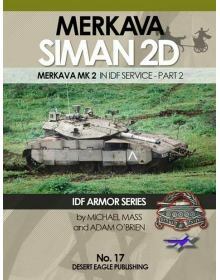 The book covers the Merkava family sto..
IDF ARMOR SERIES No 6: MERKAVA Mk 3 BAZ AND RAMAQH IN IDF SERVICE.Desert Eagle Publishing is honored..
IDF ARMOR SERIES No 5: MERKAVA Mk 3D IN IDF SERVICE - PART 2.Desert Eagle Publishing is honored to ..
IDF ARMOR SERIES No 24: MERKAVA Mk 3D IN IDF SERVICE - PART 3.Περιεχόμενα:The Merkava Mk. 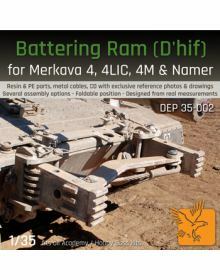 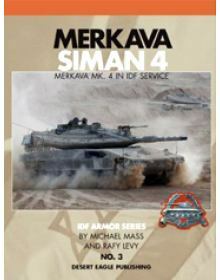 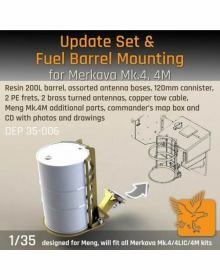 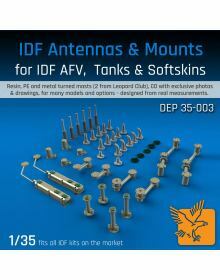 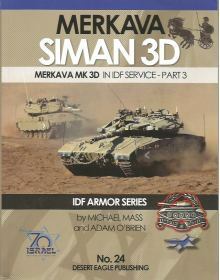 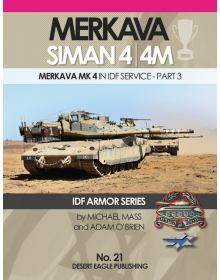 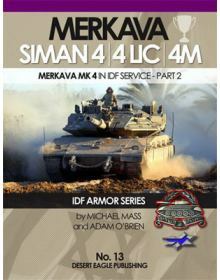 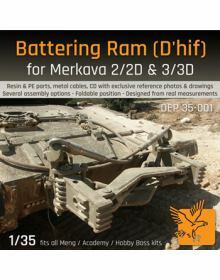 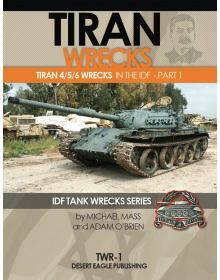 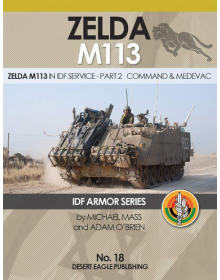 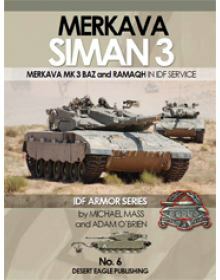 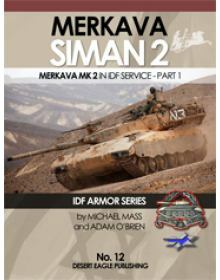 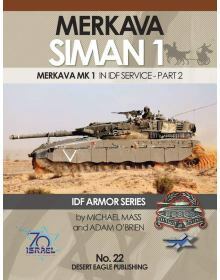 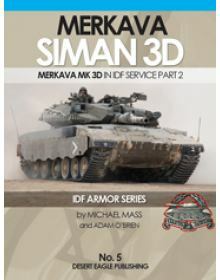 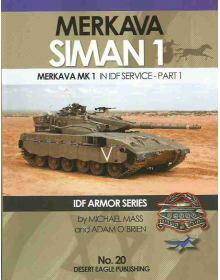 3D familyA..
IDF ARMOR SERIES No 3: MERKAVA SIMAN 4.Desert Eagle Publishing is happy to bring you its latest book..
IDF ARMOR SERIES No 13: MERKAVA Mk 4 IN IDF SERVICE - PART 2.Συγγραφείς: Michael Mass / Adam O'..
IDF ARMOR SERIES No 21: MERKAVA Mk 4 IN IDF SERVICE - PART 3.The Merkava (Chariot) Mk 4 and Mk. 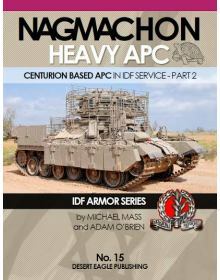 4M t..
IDF ARMOR SERIES No 15: CENTURION BASED APC IN IDF SERVICE, PART 2: NAGMACHON HEAVY APC. 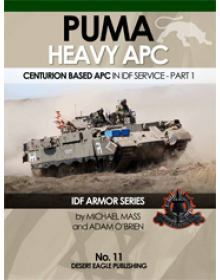 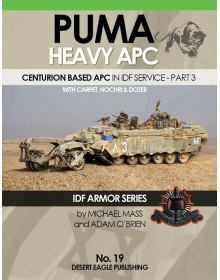 The bo..
IDF ARMOR SERIES No 11: CENTURION BASED APC IN IDF SERVICE, PART 1: PUMA HEAVY APC.Desert Eagle Pub..
IDF ARMOR SERIES No 19: CENTURION BASED APC IN IDF SERVICE, PART 3: PUMA HEAVY APC (CARPET, NOCHRI ..
IDF ARMOR SERIES No 10: M109 A1/A2 ROCHEV AND DOHER IN IDF SERVICE.Desert Eagle Publishing, is honor..
IDF TANK WRECK SERIES No 1: TIRAN 4/5/6 WRECKS IN THE IDF - Part 1.The book covers the Tiran 4/5/6 (..
IDF ARMOR SERIES No 9: ZELDA M113 IN IDF SERVICE - PART 1 - FITTERS.Desert Eagle Publishing, is hono..
IDF ARMOR SERIES No 18: ZELDA M113 IN IDF SERVICE - PART 2: COMMAND & MEDEVAC.The book covers th..
IDF ARMOR SERIES No 23: ZELDA M113 IN IDF SERVICE - PART 3: APC & TOGA.Περιεχόμενα:· &nbs..